Expect the Unexpected is about not knowing what the future holds and learning to accept what it throws at you. Alex survived the accident when some would have fallen and not gotten back up. That’s not to say she doesn’t have battle scars, because she does and one of those is living in a closed off world. Her closed off world is shaken to its core when she meets Trayton. He makes her question if it’s time to confront her past, so she can heal and experience life. Trayton didn’t grow up in a conventional world, not even close. 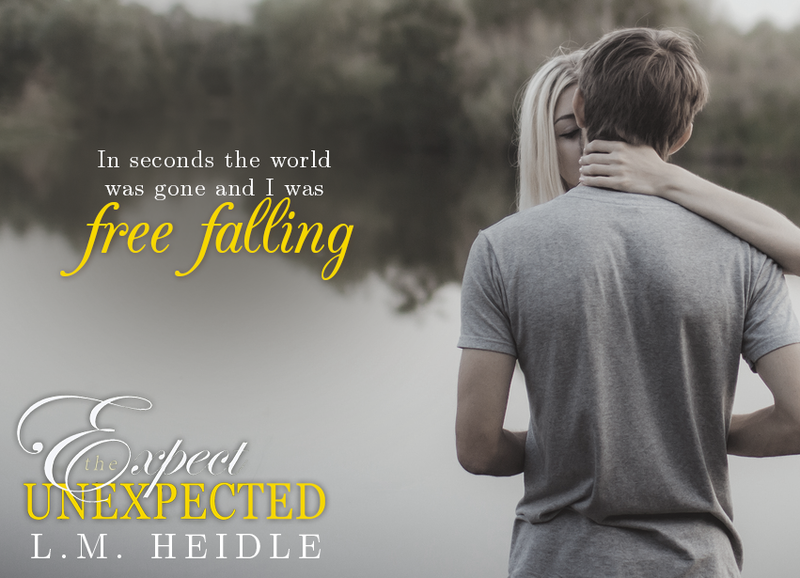 It was a world he fully intended to join until loved ones took the choice from him. He was forced into a different future that overtime he sees the benefit of. One of the benefits of his new future is Alex. She shines light on his once black and gray world. 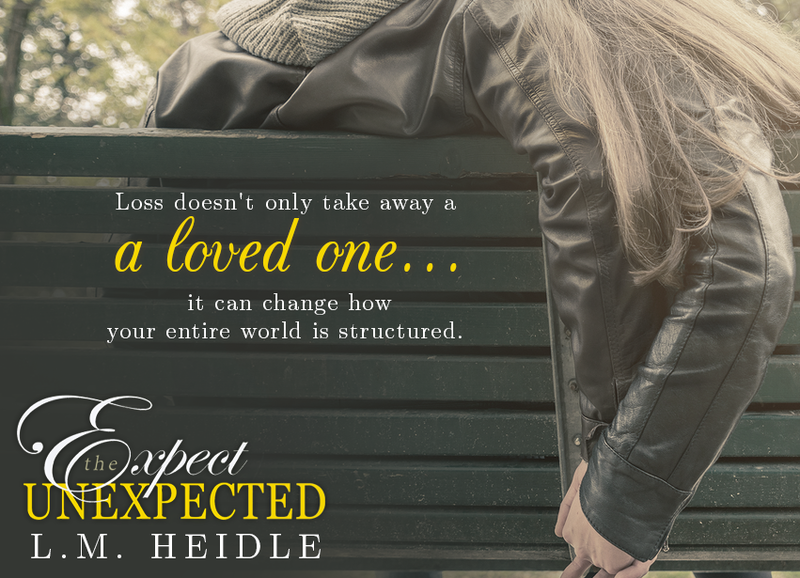 Their relationship is tested from the beginning, but if they can get on the same page they’ll see what a wonderful thing the unexpected can be. L.M. Heidle is a Missouri native, but has lived in Texas, Georgia, and Kansas as well. She and her husband, Richard, live with their two children in Central Kansas, with four snakes (not her choice) and a rat named Twinkle (again not her choice).